was a collaborative BookArt project co ordinated by Sarah Stengle, and Eva Mantell. 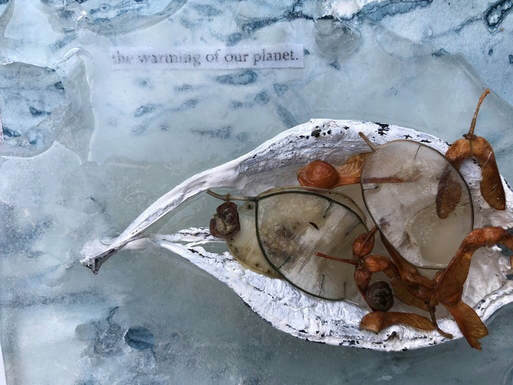 People were invited to contribute an art work made from ice which was exhibited at the Art Shanties Project on Ice. Honesty Seeds, Sycamore Seeds, Seedpod, Found Text.